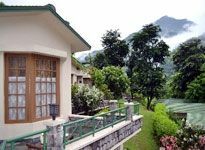 The hotels in Shivpuri are preferred by the tourists for their impeccable services and up to date amenities. 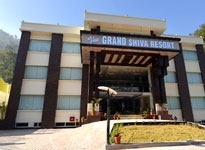 More over, as Shivpuri is well connected by rail and road, one can reach the hotel of his choice quite conveniently. For a relaxed and comfortable stay, there are many Shivpuri Hotels that offer a plush and luxurious stay for all sorts of travelers thereby ensuring utmost comfort and pleasure for them. The rooms of these hotels depict a blend of royal and contemporary furnishings that would surely enchant you. So, you need not worry about getting proper accommodation in Shivpuri. There are multicuisine restaurants in these Shivpuri Hotels that ensure both hygiene and health. Some of the best dishes from different parts of the world are served here. The drink enthusiasts can choose from a wide range of exotic liquors that are made available in the bars of these hotels. These hotels are also favored by the tourists since they provide adventure tours and sightseeing for its guests. All these would surely enthrall them. Recreational facilities and travel assistance are offered too. Business in the Shivpuri hotels has a distinct definition. The efficient and professionally trained staff of these hotels extend a helping hand to the corporate travelers while organizing their conferences and corporate meetings.